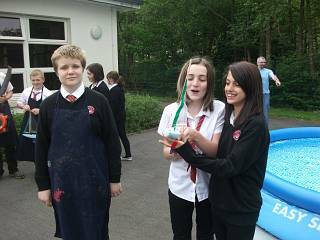 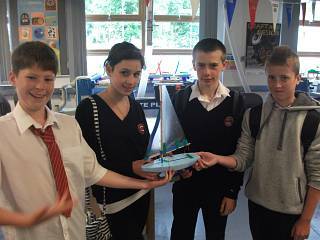 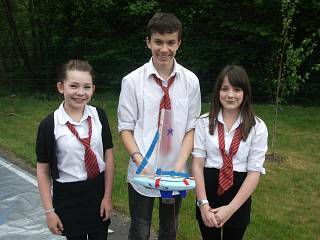 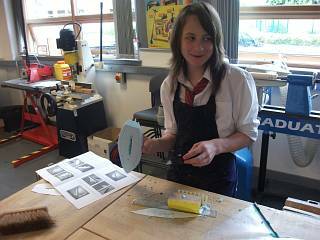 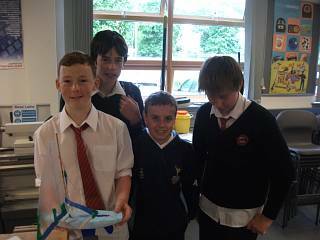 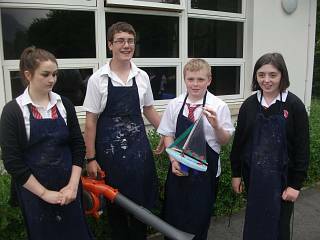 Not a ‘Music’ project at all, but an IDL (Interdisciplinary Learning) joint effort between Music and Technical departments as part of our school-wide S1–2 ‘Olympics’ week in summer 2012. 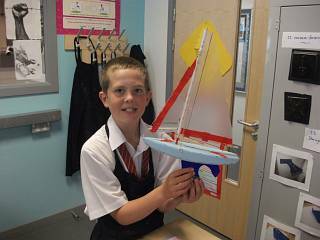 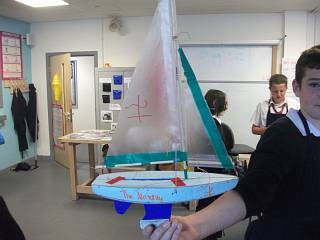 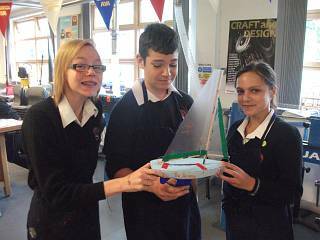 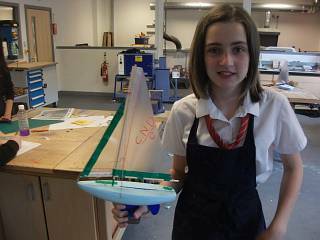 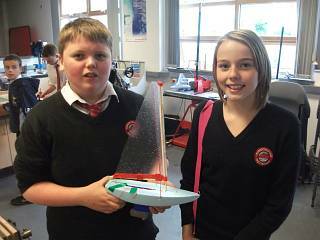 So we wanted to build ‘Olympic’ sailboats, and chose the ‘Star’ class because its ‘sharpie’ (or hard-chine) shape lent itself well to quick-build models and we needed ‘quick’! 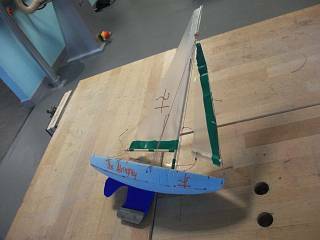 But our tiny sailboats were given relatively chunkier hulls, deeper keels and smaller rigs than the 6.9-metre originals. 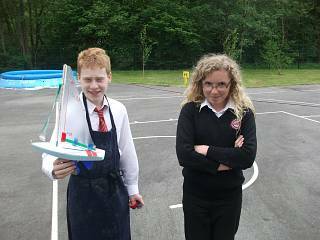 The model was designed to make use of existing materials and prototyped by Music teacher Mr Duggan before two small fleets were built on successive days by the pupils with the additional supervision of Technical teacher Mr Shepherd. 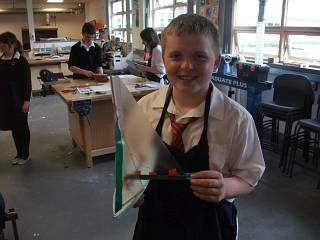 While we can share our templates and instructions here, there was also an introductory PowerPoint we can’t upload because it contains images and video content that’s not ours to distribute. 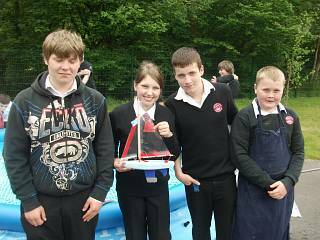 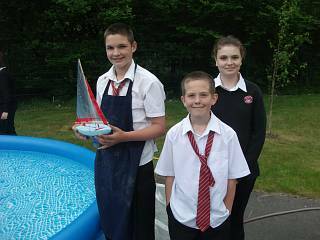 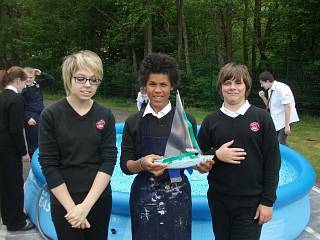 But we do have some photos and a YouTube video of our work, with the boats sailing as the wind came and went (mostly went, with the best sailing at about 40 to 50 seconds in) across our giant paddling pool. 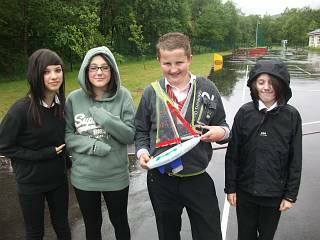 Please note that the bleeps on the video soundtrack were added purely to remove pupils’ names!